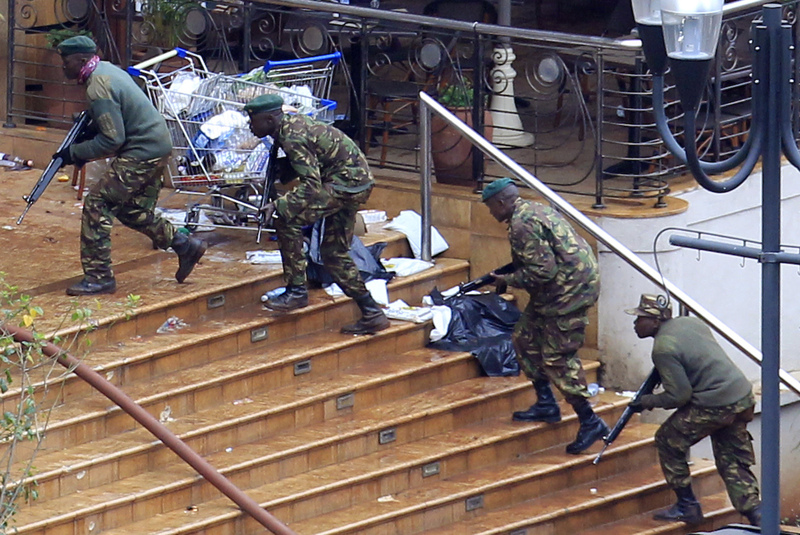 What Does the Nairobi Massacre Mean for Terror in Africa? This attack may suggest that Somalia and al-Shabaab are now the locus of global militant Islam. Al-Shabaab is a militant Islamic group based in Somalia, with the expressed intention of establishing a fundamentalist Islamic state in Somalia. Though group is affiliated with Al-Qaeda, it also represents a diversity of interests and cannot be considered a homogenous entity. Though many observers reported that the African Union’s campaign in Somalia had weakened the group, the recent attack on Westgate Mall suggests that the movement has gained an international following and remains a force to be reckoned with in the region. How were these attacks carried out? Reports vary, but 10 to 15 gunmen were able to take control of the Westgate shopping mall and fend of Kenyan security forces for more than 72 hours. The attack was far from spontaneous; some reports have suggested that machine guns were stored in the mall the night before the attack and that the gunmen had studied the layout out the mall extensively prior to the attack. Reports Tuesday suggested that the attacks were possible because of colluding mall employees and the Kenyan government’s inability to police its border with Somalia. There is still significant confusion as to the nationality of the gunmen, with some reports suggesting that Americans may have been involved, in addition to Arabs and Africans. The attackers’ motivation was similarly unclear. Some survivors report that civilians were questioned at gunpoint about their religion, suggesting that this was a religiously motivated attack, but other reports have found that Muslims are among the scores of casualties. Some analysts have suggested that al-Shabaab’s targeting of the Westgate Mall is retribution for Kenya’s support for the UN peace-keeping mission in Somalia and for Kenya’s political and security ties with the United States. What is the significance of this attack? While the motivation behind this attack is unclear, the implications for security policy in East Africa are stark. Though Somalia has long been a base for militant Islamic groups, this attack may suggest that Somalia and al-Shabaab are now the locus of global militant Islam. The reports suggesting that British and American citizens were among the gunmen indicate the widening scope of al-Shabaab’s influence. The efficiency with which this attack was carried out suggests that the “global war on terror” Kenyan President Uhuru Kenyatta alluded to may be increasingly fought on Africa’s Eastern coast, as opposed to in the Middle East. If this attack was, in fact, a response to Kenya’s cooperation with American military operations in the Horn of Africa, increased American involvement in the region may only fan the flames of discontent.